It's good to be back home this week with a new episode of The Mouse Castle Lounge. While I was galivanting on the East Coast, Johnny Depp, Armie Hammer and a couple of their friends came to my town (Vegas, baby!) 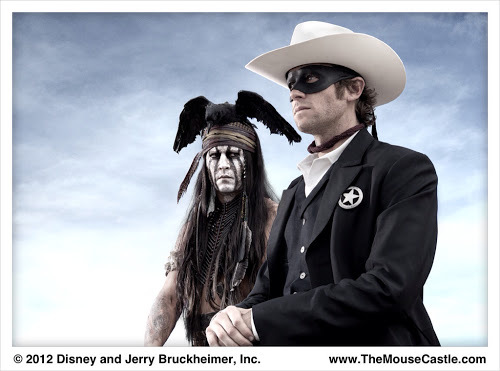 to give fans a sneak peek at The Lone Ranger, coming out on July 3. The audience was treated to a new movie trailer and about 20 minutes of clips, followed by a Q & A with Depp, Hammer, director Gore Verbinski and producer Jerry Bruckheimer. I've got some very cool soundbites from the event in the MCL. And speaking of new trailers, here's a brand new one for Marvel's Thor: The Dark World, hitting U.S. theaters on November 8. They're calling it a teaser trailer. At over a minute and a half, that's quite a tease. Meanwhile, Hong Kong Disneyland's new E-ticket ride, Mystic Manor, is in preview mode in preparation for a May grand opening. Videos of this cute-creepy-fun tour of Lord Henry Mystic's strange Victorian mansion are already hitting YouTube en masse. This is the best one I've seen so far. IT'S ONE LONG SPOILER, so be warned. 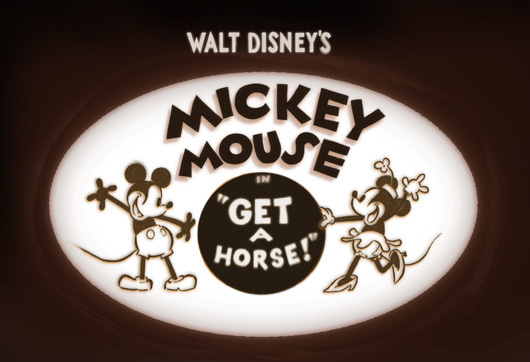 Also providing a bit of mystery is a new Mickey Mouse cartoon called Get a Horse. It will make its debut at the Annecy International Animated Film Festival in June with old school animation (rubber-hose arms and legs; pie eyes) and Walt Disney himself voicing Mickey, just like old times. Walt Disney Animation isn't giving away a whole lot of details--like where exactly Get a Horse comes from--but it looks like they've sifted through some previously unused voice tracks from Walt and matched it up with some new hand-drawn, 2D animation. It sounds intriguing as the timeless mouse continues to make his cartoon comeback. Movies, mysteries and more are what's in store in today's Mouse Castle Lounge. Enjoy! The Mouse Castle Lounge can also be heard on iTunes and Stitcher. 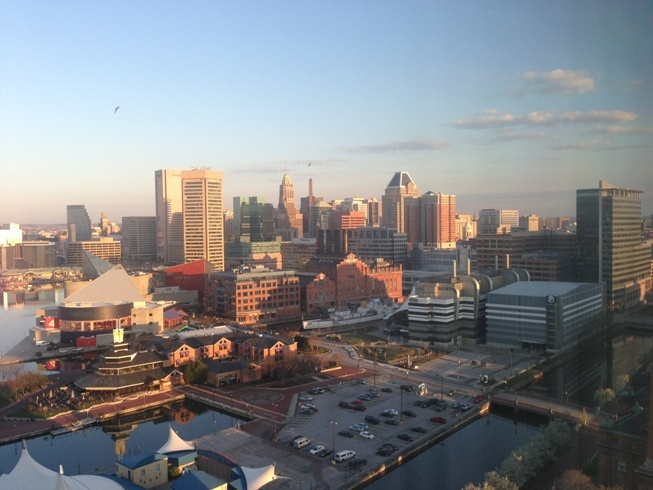 It's been a busy week for me in Baltimore, attending meetings, eating expensive dinners and drinking cocktails paid for by other people. And yet, I still managed to record one more episode of The Mouse Castle Lounge before leaving town. 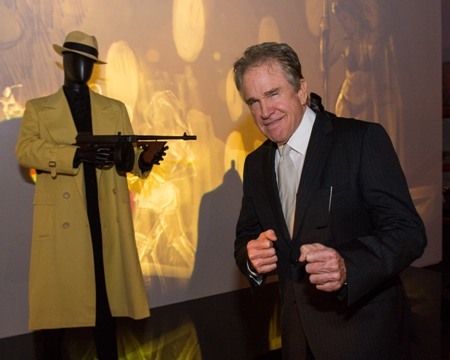 In today's installment, the Walt Disney Company has thrown its full support behind the Academy Museum of Motion Pictures, a new 300,000-square foot facility dedicated to movie history. The museum won't open until early 2017, but the renovation of Los Angeles' historic May Company building has already started and fund raising is well underway. 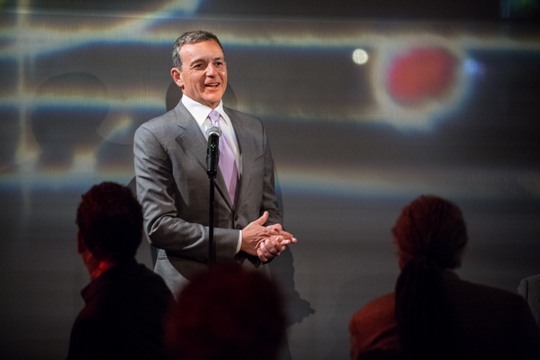 Disney chairman and CEO Bob Iger heads up the museum's $300 million capital campaign along with co-chairs Annette Bening and Tom Hanks. Photo by Matt Petit/© A.M.P.A.S. Photo by Todd Wawrychuk/© A.M.P.A.S. 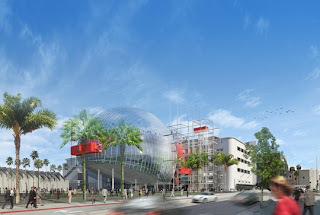 For more information about the Academy Museum of Motion Pictures and how you can support it, visit http://www.oscars.org/academymuseum. Don't forget, you can still win one of historian J.B. Kaufman's wonderful books about Snow White and the Seven Dwarfs, The Fairest One of All or Snow White and the Seven Dwarfs: The Art and Creation of Walt Disney's Classic Animated Film, simply by listening to either today's podcast or this podcast and following the instructions to enter. It's easy to do and entries must be in by 5:00 p.m. Pacific time on Friday, April 19. Good luck! There's more inside today's Mouse Castle Lounge including an update on Disneyland's problems with Cal OSHA and a preview of Disneynature's most recent home video release, Wings of Life. Enjoy! Saturday was not a good day for the Disneyland Resort as three E-ticket rides (Space Mountain, the Matterhorn and Soarin' Over California) were closed following an investigation by Cal OSHA into safety violations. No word as yet on when the rides will reopen, but Disney is scrambling to get into compliance and provide adequate fall protection for workers who maintain the exteriors of these attractions. The violations could end up costing Disney in excess of $230,000 in fines. Space Mountain may be out of service for a while, but nearby, Innoventions is lining up guests to see Iron Man Tech Presented by Stark Industries, a new display of Iron Man suits featured in Marvel's upcoming flick Iron Man 3. Lines at Innoventions, who knew that was even possible? All that and more is in The Mouse Castle Lounge. Enjoy! I'm getting ready to fly out to the east coast tomorrow (work-related...you know, the real job that pays for my online indulgences), so I don't have much time to expound on today's visit to The Mouse Castle Lounge. I do talk a bit about the state of 2D animation at Disney in the wake of this week's layoffs. I also preview a new kids show debuting on The Disney Channel, Henry Hugglemonster, and explain why I'm not happy about being away from home next week. I am taking some of my recording equipment with me on my trip, so there will a new episode of The Mouse Castle Lounge this Sunday. I'm a road warrior. What can I say? Would I resort to bribery to get you to listen to The Mouse Castle Lounge podcast? Why yes, yes I would. You can win one of J. B. Kaufman's two recent books about Snow White and the Seven Dwarfs simply by listening to the April 10, 2013 episode of The Mouse Castle Lounge. During the show, I'll ask you to e-mail me some kind of message. Send the message to podcast@themousecastle.com along with your name, home address and phone number and on April 19, I'll pick two winners at random from all the entries received. Only one entry per household, please, and you must be a resident of the U.S. to enter. One person will win Kaufman's The Fairest One of All, a comprehensive history of Snow White. Someone else will win Snow White and the Seven Dwarfs: The Art and Creation of Walt Disney's Classic Animated Film, the companion book to the Walt Disney Family Museum's wonderful exhibition celebrating 75 years of Disney's feature-length masterpiece. Once the winners are selected and notified, I'll post the best e-mail messages I received here on The Mouse Castle blog--did I mention I want you to have some fun and be creative with this? So, please give a listen to this installment of The Mouse Castle Lounge. I hope you make it a habit. In addition to my blatant bribe, I also have news about the current layoffs at Walt Disney Studios and details on the upcoming video game based on Disney's new movie Planes, coming out in August. Don't let the title fool you. The Mouse Castle Lounge is not changing, really. For one episode, I called it Inside the Mouse Castle because, well, it seemed like a good idea at the time. On further review, why mess with a good thing? The Mouse Castle Lounge is what my podcast is, was and will remain. Drinks all around! The frequency with which I do this. Expect up to five shows a week with the latest news from the world of Disney. As strange as it sounds, it's easier for me to do a daily series of shorter shows (15 minutes or less) than to compile a week's worth of material (or more) and put it together in a longer podcast. Here's the plan: four evening shows posted Monday through Thursday with another show on Saturday (subject to change without notice based on the flaky whims of the host). Can you handle me on a daily basis? I hope you can. Be gentle. In this episode, I pay tribute to Annette Funicello and celebrate Buzz Price's new window on Disneyland's Main Street. Enjoy! 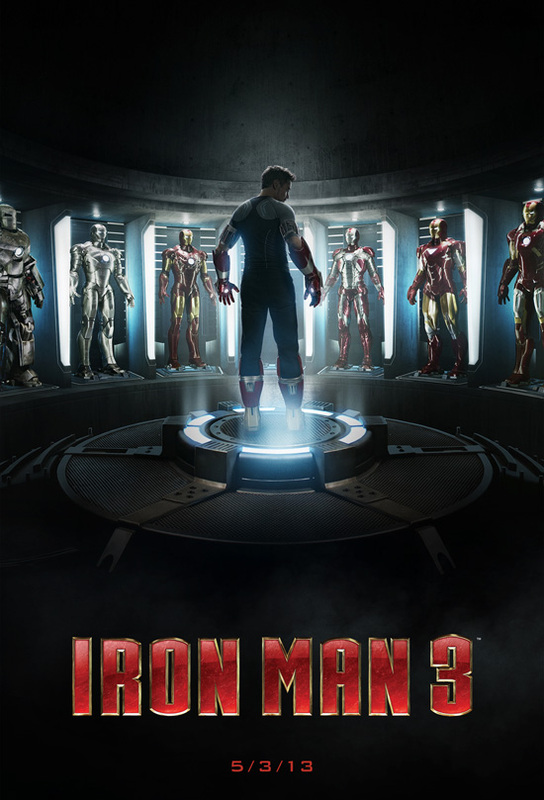 Iron Man 3 will be making an appearance at Disneyland beginning April 13. Iron Man Tech Presented by Stark Industries will take up room inside Tomorrowland's beleaguered Innoventions, displaying the seven Iron Man suits as seen in Marvel's Iron Man 3 due in theaters May 3. 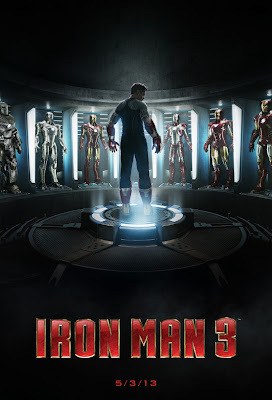 Besides seeing the display, guests will be able to virtually suit up and feel the power of being Iron Man. The exhibit is expected to run at least through September, but the rumors that an Iron Man attraction could take up permanent residence where Innoventions is now could change all that. There's a new trailer out for the animated feature Planes and, well, it looks a lot like the old trailer. The difference? Dane Cook has replaced Jon Cryer as the voice of Dusty, the crop duster with a ton of heart and a fear of heights. Also, Planes will no longer be a direct-to-video release as was originally announced in 2011. It'll be in theaters August 9, 2013. And while it looks like a high-flying extension of Pixar's Cars franchise, it's actually a DisneyToon Studios film (although John Lasseter is one of the producers). Disney has announced they are awarding $1.5 million in grants to various children's charities and organizations. The Disney Helps Kids Shine program will benefit around 70,000 kids in Central Florida. There's more, including a 100th birthday tribute to Disney animating and Imagineering legend Marc Davis, trouble at LucasArts and a way you could get to see preview screenings of Disney films for free. Enjoy!